Ru Di Fook Noodle Bar @ Kota Damansara KL – Something A Little Different. Nowadays, when I visit new restaurants, I subconsciously hope for something a little different and perhaps, a tinge more exciting. Big breakfast? I’d liked to give that a boring pass. It’s all about creating new eating experiences. The conventional-norm doesn’t seem to work well with my taste buds anymore. Must have; Must try at RDF. The Wantan Mee (RM15.80) was delicious. The noodles were springy and had toothsome textures, tossed in RDF’s signature white sauce, which I thought tasted more sweet than savory. Every mouthful was flavorsome and delightful. I wouldn’t hesitate to order this again. On top of the Wantan Mee, I also ordered a serving of crispy Wanton (RM9.80/6 pcs) to share. The wantons’ were the same as the one served together with the Wantan Mee. To be honest, I wasn’t a huge fan of their wantons’. There was an ingredient used that I didn’t particularly enjoy, presumably of a type of herb. I thought that the presentation of the dishes got a bit boring after awhile – same plate, same color. The Kungfu Mushrooms (RM10.80) consisted of deep fried shimeiji and oyster mushroom, with dollops of plum aoli in between. Eat it while it’s still hot! Overall Rating: 8/10. I liked the food, both taste and creativity, though I thought the wantons’ could be a bit more awe-inspiring. I’d definitely return, sometime in the near future, when they’ve settled in. 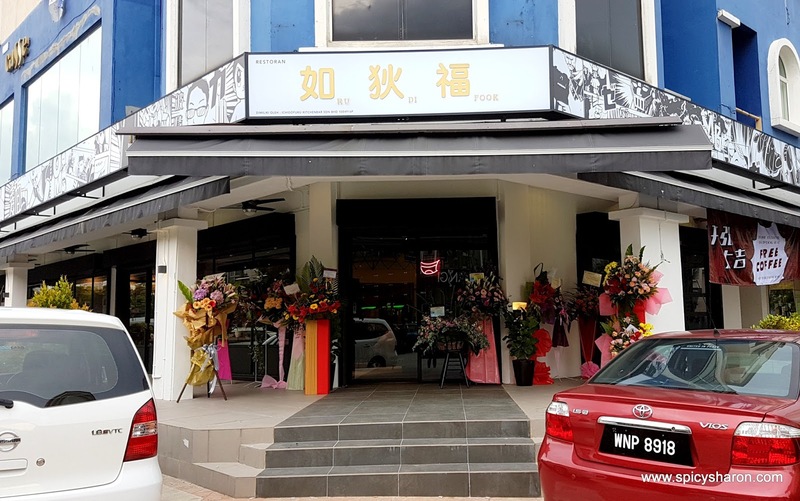 Ru Di Fook is located at:Address: Jalan PJU 5/4, Dataran Sunway, Kuala Lumpur, Malaysia.Phone: 03-7496 7103Opening Hours: 12pm-11pm Daily. Closed Monday.